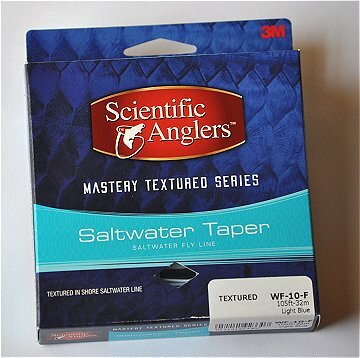 Mastery Textured Series Saltwater Taper Floating Fly Line by Scientific Anglers: Fly Fishing Gear - Burleson Sporting Co.
also maintains buoyancy for improved fly-line floatation. Scientific Anglers Line Identification (SA-ID) As a result of our lab's mission to continually improve our lines, we bring you SA ID. SA ID is an innovative line marking system allowing you to identify your lines at a glance. Wonder if a shooting head is 200 grain or a 300? Just look at the SA ID.